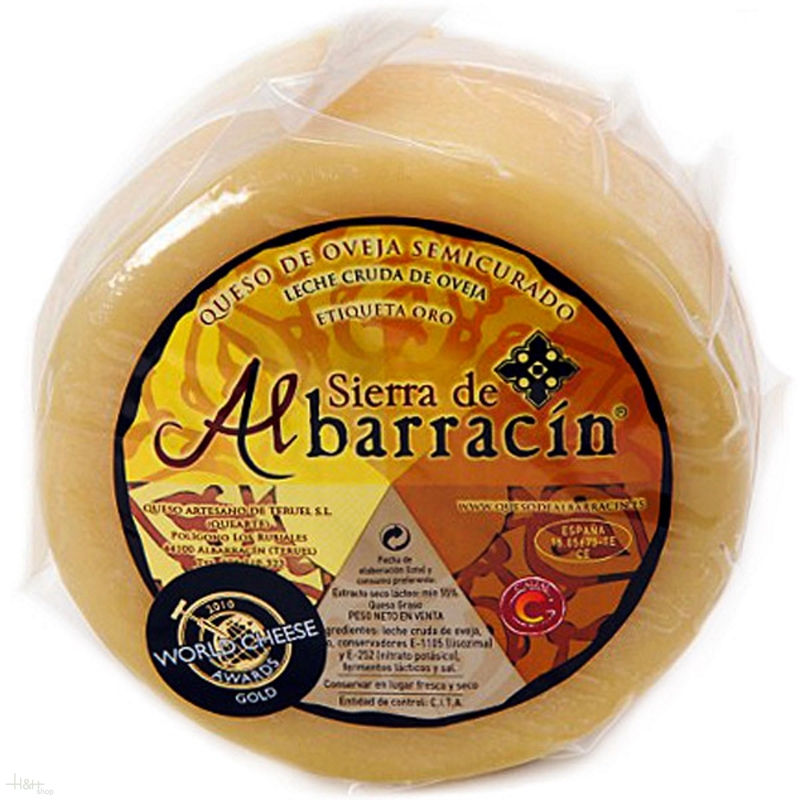 This semi-cured cheese is made exclusively raw sheep’s milk, Sierra de Albarracin’s own livestock of dairy sheep. The milk does not undergo any heat treatment during processing, except that required for coagulation. This type of processing method gives this cheese a wide range of flavours and aromas typical of the native flora of the milk. 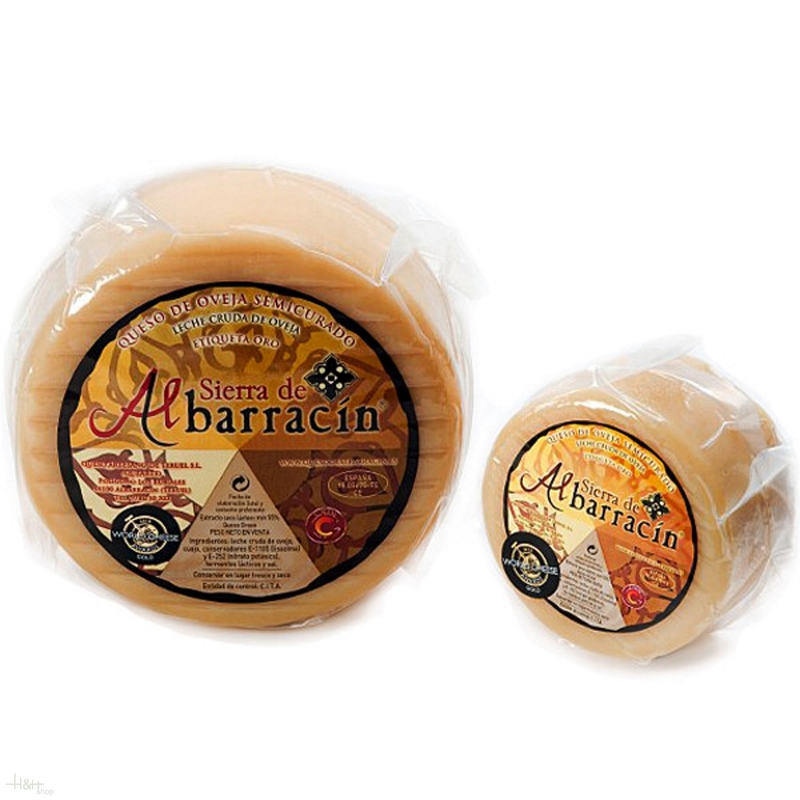 The cheese is made a firm pressed paste, obtained by predominantly enzymatic coagulation, which is aged with the bacterial flora the lactic acid. It has an average salt content. After an aging period of at least 4 months for the small cheese and 6 months for the larger one, we obtain a semi-cured cheese called ‘Gold Label’. 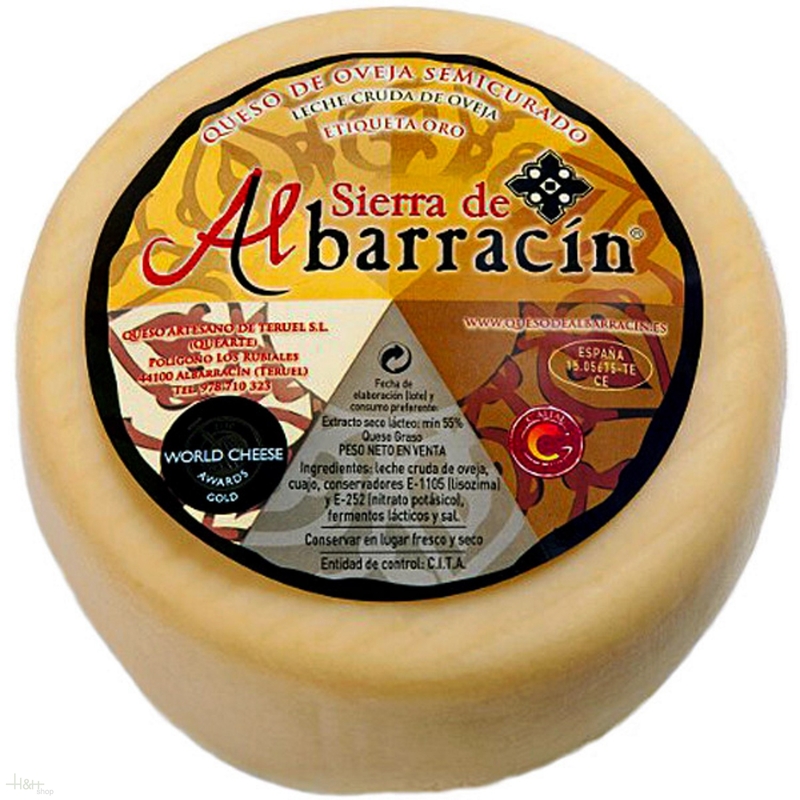 The cheese is ivory in colour, with medium-sized eyes that characterize this cheese. It has an intense flavour, thanks to the use of raw sheep milk. 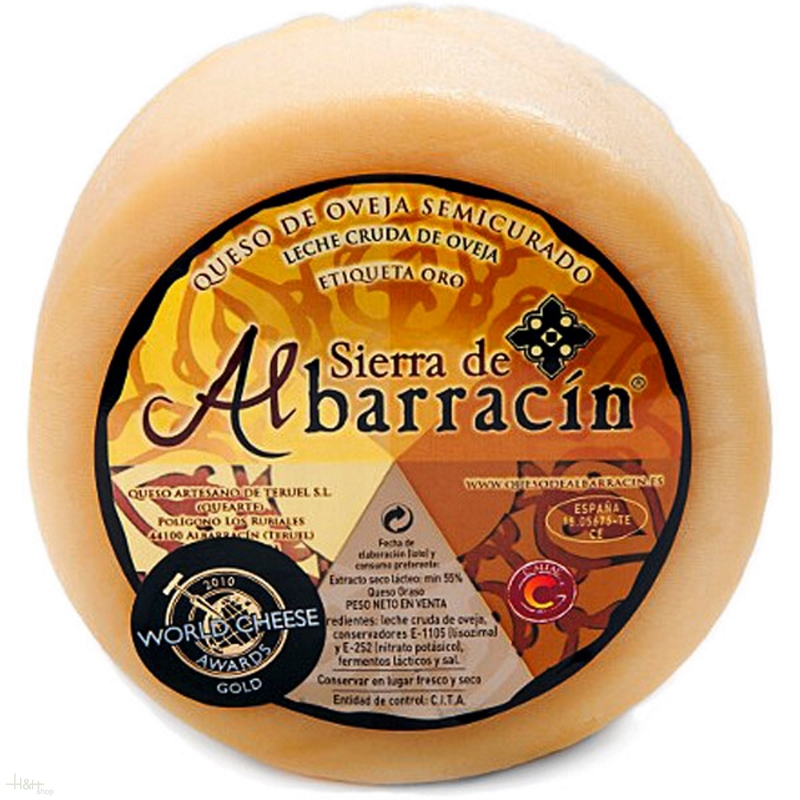 The ‘Gold Label’ indicates that this cheese undergoes a finishing period of 4 - 6 months, during which the intensity of the flavour increases further.